For many years, now, I have owned an original Estes 1/70 scale Little Joe II. It was the same scale as the Estes Apollo/Saturn 1B and the Little Joe II was a functional part of the Apollo Program. Built by General Dynamic/Convair as a rapidly constructed means to push the Apollo Command Module and the Launch Escape System into the sky to test the system prior to manned flight. As we have shown on these web pages, we've remodeled a number of our old birds over the past few years, including our Estes 1/70 scale Saturn 1B. 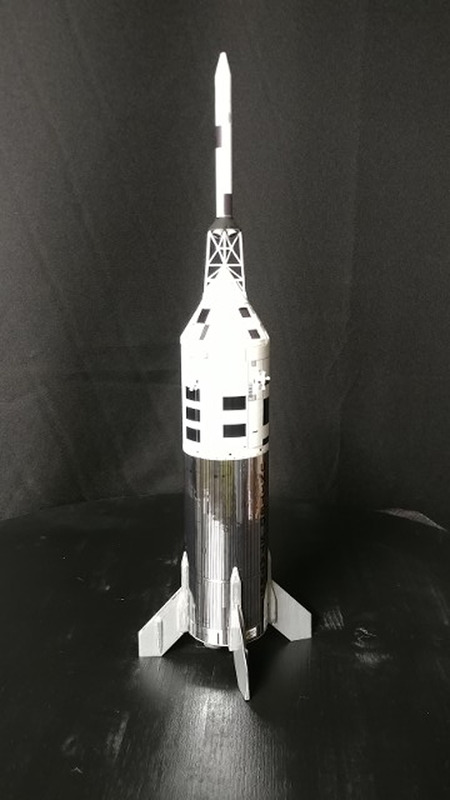 Now dressed with 3D printed H-2 engines in its first stage skirt and an Apogee Apollo CM & LES on top, which provides much better scale detail than my hand-made CM & LES, the Saturn 1B rests proudly on the top of the Apollo Room's main display shelf. That's when I looked at re-doing the Little Joe II. However, by the time I got through with all the work, the body tube would still not look as good as the Mylar-wrapped version that comes with the Apogee Little Joe kit. So, since it already comes with the Apogee molded CM & LES, we built one of those kits instead. 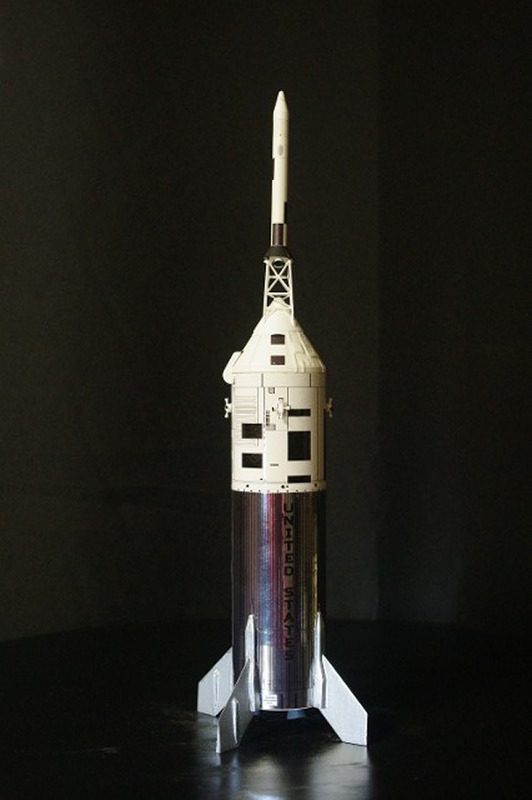 The Apogee kit also includes 3D printed fins and a complete set of decals for depicting the test rocket patterns as they were flown out of Wallops Island, Virginia. 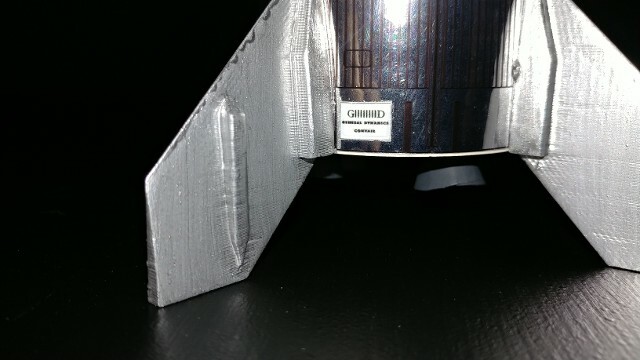 A close-up look at the 3D printed fins and the GD/Convair nameplate decal. 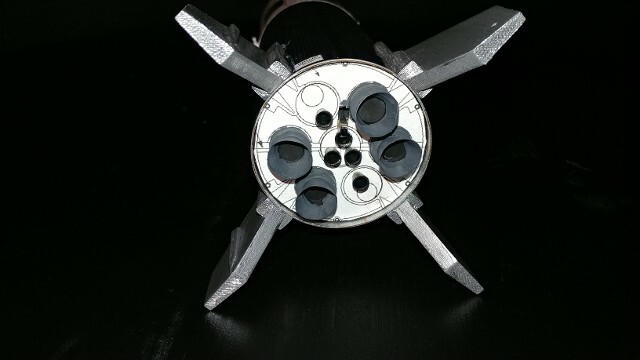 In researching the Little Joe II's used for Apollo testing, we found that a number of solid propellant rockets were used in a clustered format to power the Little Joe's airframe. 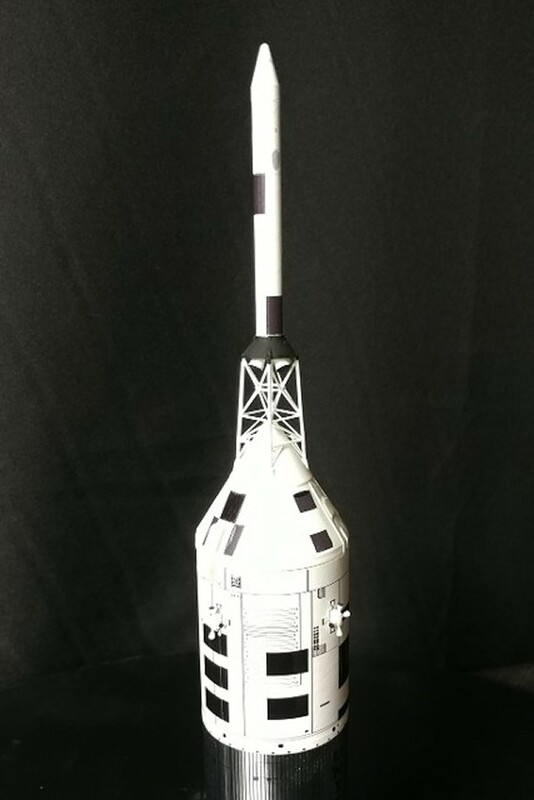 The image of the rear bulkhead was taken to 1/70 scale and used as a reference pattern for installing the replicas of the Recruit booster motor nozzles and the Algol sustainer nozzles in the correct location for the mission depicted by this model.